The importance of safety cannot be stressed enough. 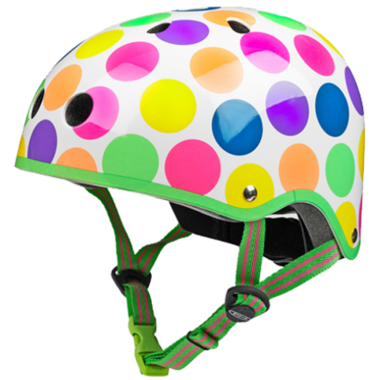 The comfortably light-weight Mirco Helmet features a protective EPS inner foam lining, a durable ABS shell, and 11 vents to help keep the head cool while on the move. A rear adjustable sizing dial, an adjustable chin strap and extra padding ensure the best fit. Suitable for scooter and bicycle riding. 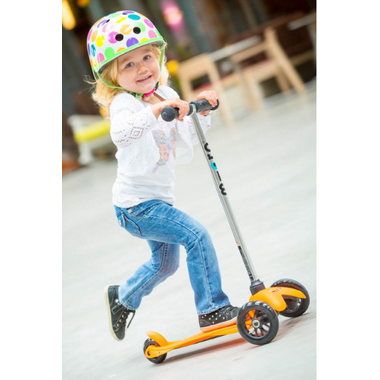 Measure your child's head from the forehead, where the helmet will sit, round to the furthest point on the back of the head. very cute and have a good quality!